We have listed below some answers to frequently asked questions about acupuncture, and we recommend also clicking here to read excerpts from “Why did you put the needle there?”, by Community Acupuncturist, Andrew Wegman. If you scroll down on this page, below you’ll find some links to endorsements on what many leading health institutions say acupuncture “works” for including the World Health Organization, the US Department of Veteran’s Affairs and Department of Defense, and the US National Institute of Health. It’s VERY normal to be nervous about the needles hurting. Most people are nervous when they come to their first acupuncture treatment, but most people leave our clinic feeling very relaxed after their first treatment. Our acupuncturists have an extremely gentle technique. In fact, most patients don’t even notice the needles. Acupuncture is a relatively painless procedure, though you may notice some pressure or tingling during the session. –No disrobing is necessary with community acupuncture. Distal points will be selected on the arm, the lower leg and the head. We make it easy for you to get acupuncture by keeping our systems simple. Your first visit includes an assessment of your health history and treatment goals. After that, pick a chair, kick off your shoes, roll up your sleeves and get comfortable. Your acupuncture with check in with you, place your needles, and let you rest. When you’re ready to get up usually after 45-60 minutes), give a nod and we’ll unpin you. We’ll suggest a plan for you to come in based on your needs. 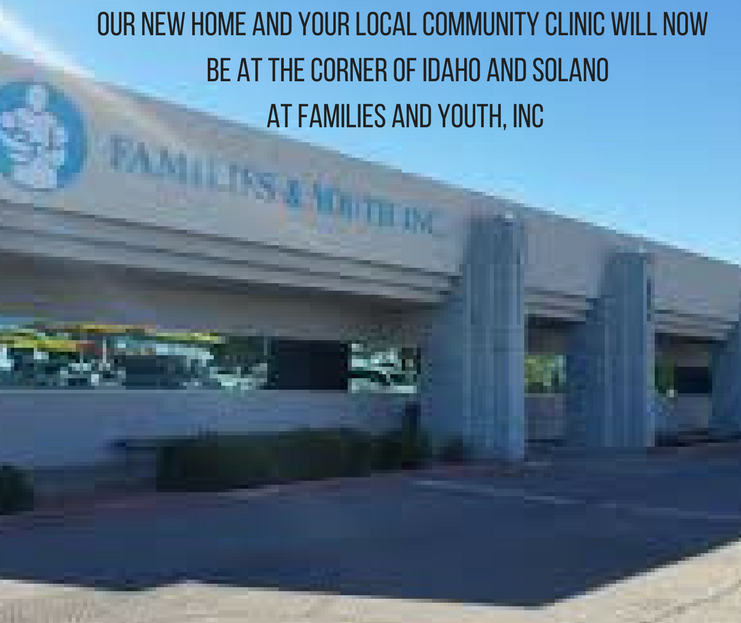 Please take the time to download and read through our Welcome Letter, which has more information about how our clinic works and what to expect when you come to Crossroads. We take most commercial plans including Blue Cross Blue Shield, Presbyterian, New Mexico Health Connections, Cigna, United Healthcare and Triwest/Veteran’s Choice. In addition we bill for Worker’s Compensation, Auto, No-Fault and other similar insurance claims. Our patients usually pay between $0 and $40, depending on their insurance coverage. Give us a call to review your insurance plan and let you know how much your treatment will cost you out of pocket. Who will be treating me? 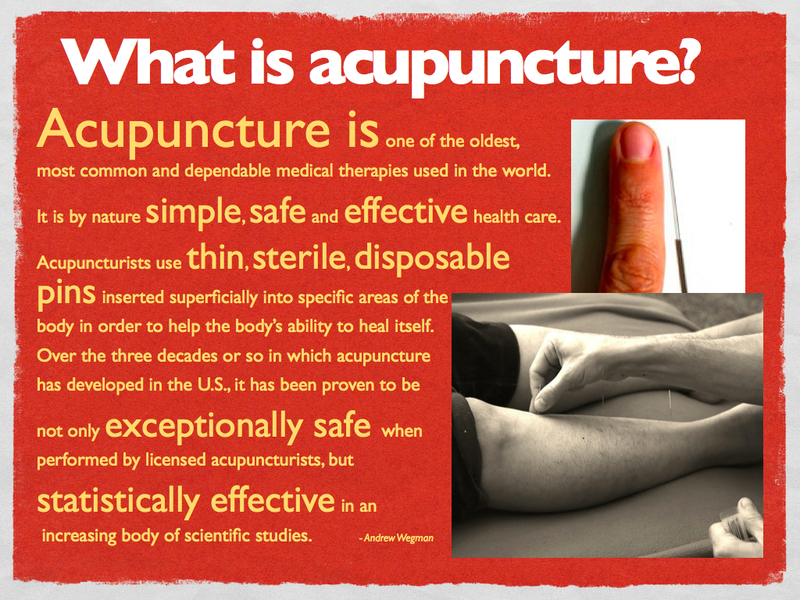 Click here to learn more about our acupuncturists! Our acupuncturists are licensed by the state of New Mexico as Doctors of Oriental Medicine, and are nationally certified through NCCAOM. How long have the acupuncturists at Crossroads been practicing? What experience do they have? Our acupuncturists have completed 3 to 4 year intensive Graduate-level medical training in accredited acupuncture training programs, and also have experience working in military medicine, behavioral health, psychiatric and addictions care. Our project has been operating for 6 years, and we have treated over 70,000 people throughout the region. We have experiencing treating a lot of different types of health conditions for people of diverse backgrounds. Never! We use single-use only needles, pre-sterilyzed and we follow the highest of international standards in Clean Needle Technique. Why does Crossroads treat in a group setting? Most US acupuncturists treat each patient on a table in a private room. At Crossroads Acupuncture, however, acupuncture treatments are primarily offered in a group setting, as is customary in Asia. In our clinic we group recliners in an open, shared space. Treating patients in a community setting has many benefits: it’s easy for friends and family to come in for treatment together and sharing the healing experience makes individual treatments more powerful. Our style of acupuncture treats patients in recliners, allowing them to rest with their needles for an extended period of time. The “right” amount of time varies from patient to patient. Most people learn after a few treatments when they feel “done,” whether this is thirty minutes or an hour. Many people fall asleep and wake feeling refreshed. We don’t believe acupuncture should be a luxury, and we want people of ordinary incomes to be able to access our services. Our model of care is designed to make our services affordable for the working class of the Las Cruces area. We also realize that in most communities on both sides of the border, there are few acupuncturists at all. Crossroads is committed to empowering regional partner groups to establish their own low cost and free clinics in low income border communities and colonias. We want the Las Cruces community to be able to support their efforts. 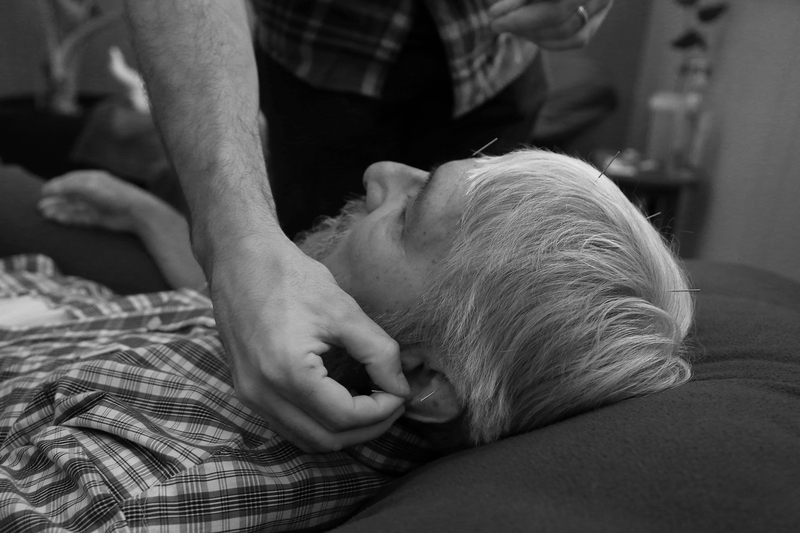 Ear acupuncture is perhaps the most prevalent model of care in mainstream health settings. Crossroads follows the NADA (National Acupuncture Detoxification Association) protocol as an ear acupuncture modality (aka the NADA Model). Through our training program, we teach health providers how to set up their own services. Please visit our ear acupuncture page where you can read articles on Acutake, and find more resources on ear acupuncture. Acupuncture is a safe and effective treatment for many common illnesses. Many people seek acupuncture treatment for alleviating pain and for managing long term chronic physical and psychological illnesses related to stress. Others make it part of their weekly or monthly routine just to relax, rest, and recuperate from their busy and stressful lives. Do you prescribe herbal medicine? Acupuncture is our clinic’s first line of treatment. Depending on the condition you are seeking treatment for, however, it may be recommended that you try Chinese herbal medicine. This can enhance the effects of acupuncture, leading to quicker and more sustaining results. For particular conditions such as digestive disorders, infertility, menstrual problems, menopausal symptoms, depression, anxiety, chronic fatigue, insomnia, common cold or headaches, herbs may be recommended. During your initial acupuncture visit or in follow-up visits we may suggest that you try herbs. Chinese herbal medicine is safe and natural. The herbs used at our clinic are tested numerous times for safety. We offer a line of herbs processed into a pill-tablet form that is easy to take. We also offer topical analgesic pain relieving linaments and oils, as well as herbal cough syrup. Formulas are designed to meet your body’s particular needs and should not cause side effects. Most of the time herbs can be used alongside western medications, however, there are certain cases when they should not. The utmost care will be used in prescribing herbs for you. We also offer individualized herbal formulas, which vary in price. For an herbal consultation, you need to schedule an appointment.